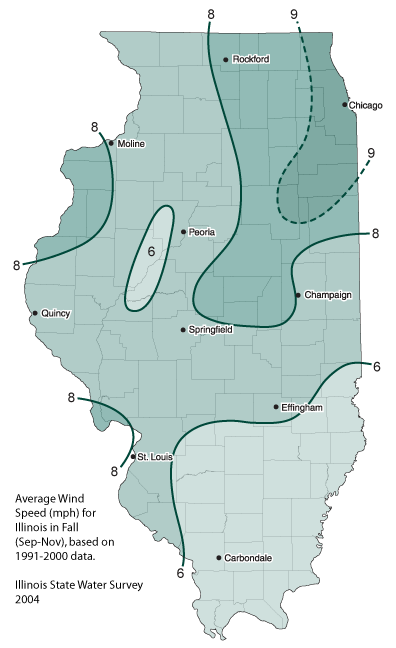 Open spaces of the Illinois prairie are renowned for being windy. In addition, Chicago is referred to as the "windy city", in part because of the strong winds found between its tall buildings and a frequent lake breeze. 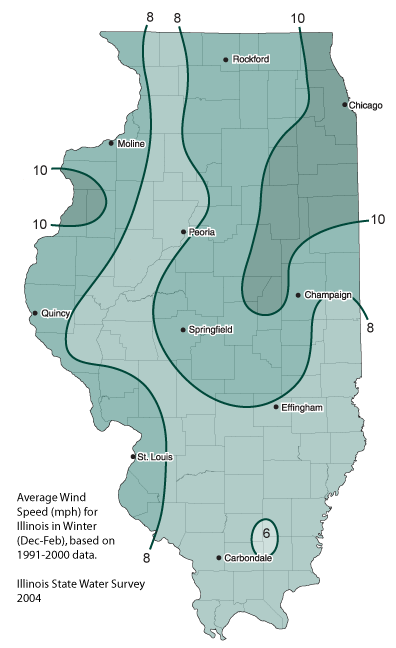 However, Illinois is not one of the windiest states. Mountainous areas of the western US and the High Plains have higher wind speeds. Therefore, the potential for wind power in Illinois is not as great as in those states. In general, trees and hilly terrain slow down the winds. 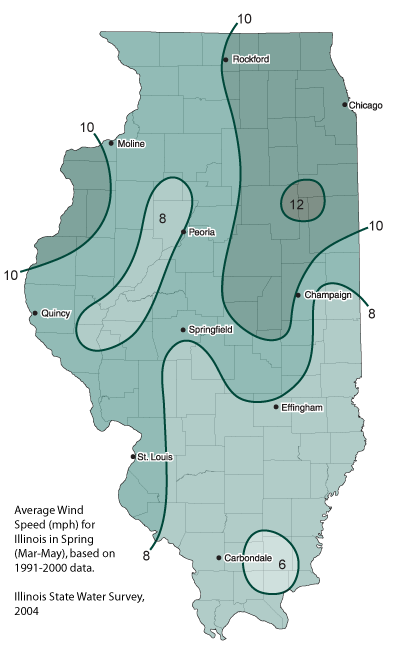 As a result, wind speeds in western, northwestern, and southern Illinois tend to be lower than in the flat, open terrain of central and northeastern Illinois. 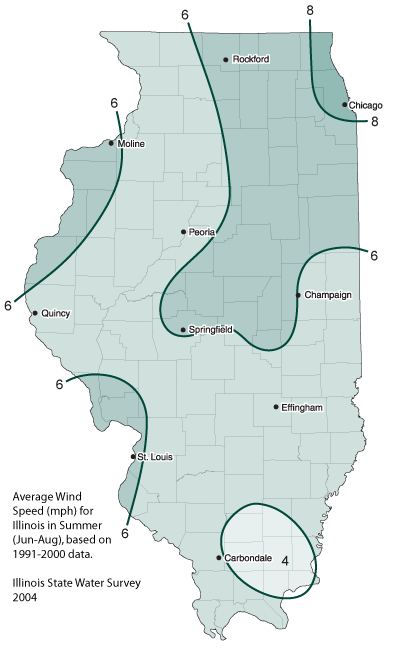 Maps of annual, winter, spring, summer, and fall wind speed (mph) in Illinois, based on data from 1991-2000 and measured at the standard height of 33 feet (10 meters). Data from Illinois Climate Network and NWS sites. Click on each figure to enlarge. Table 1. Monthly and Seasonal Wind Speed (mph).